Greeting you today with this fun DIY project perfect for this nice warm weather. I originally created this DIY Outdoor Floral Garland for my appearance on The Marilyn Denis Thrift Store Show Down a couple of weeks back. 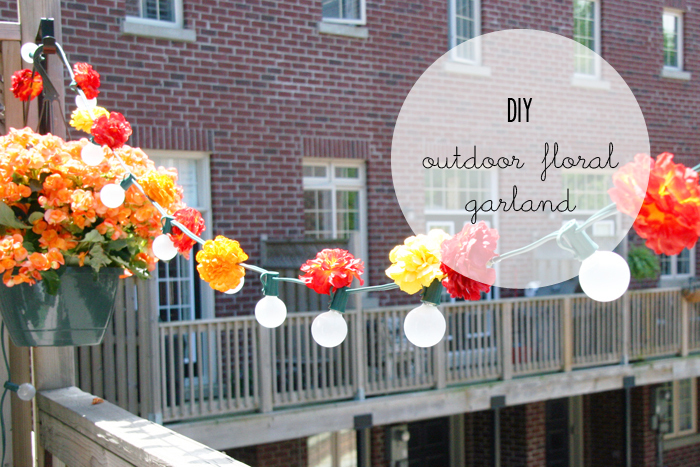 I decided to incorporate this simple and affordable project into my own outdoor space. I love the fact that it adds so much colour during the day and when lit up at night, it is so cozy! 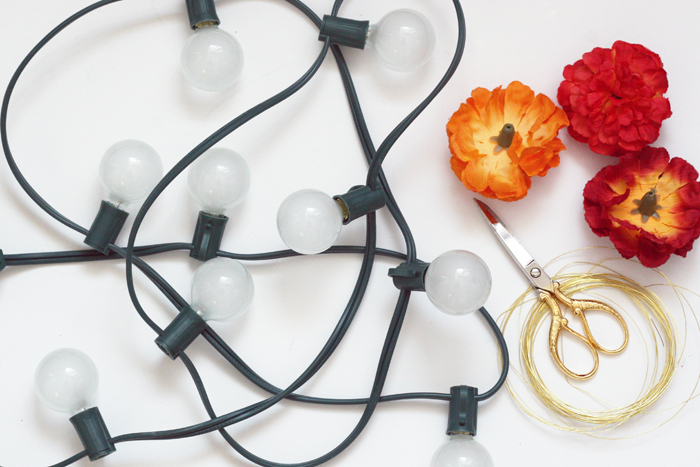 All you need is a strand of globe lights (I bought mine from Target for $10) and some faux flowers and you’re all set! This project is also perfect for a summer bridal shower and outdoor wedding! Imagine affixing real florals to it for some added glamour! The possibilities are endless. Bunch of faux flowers (or even real ones! ), mine were thrifted from Value Village for $0.99. I hope you enjoyed this simple DIY project! If you like it, remember to Pin it! You may be wondering why a shoulder tote is the number one Prada handbag, and the answer is simple. If you’re one of the lucky people who is in business for yourself you may also be able to find an extra business opportunity in non-woven bags from China. What a lovely summer patio accessory. And looks so easy to make!